Without even mentioning the Queen’s jubilee or the London 2012 Olympics, there are numerous other superb reasons to visit London this year, and in this post, from Simon Dance of holiday accommodation providers HouseTrip.com, he explores 18 of the Capital’s unquestionable best bits. There are literally hundreds of things to do for families in London, so much so that even a lifelong Londoner would struggle to do them all in a lifetime yet alone a brief stay, so here is a condensed list which ignores the crowded streets of Piccadilly Circus and focused on some of the best things that London has to offer. 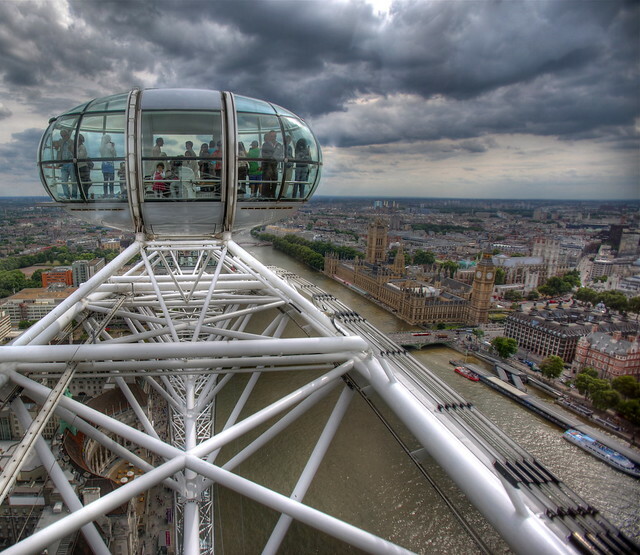 Spectacular View on London Eye Since it was erected in 1999, the giant Ferris wheel on the banks of the River Thames has been one of the London´s main attractions. It may be a slow ride that takes almost an hour but on a good day, you can see amazing views of London. 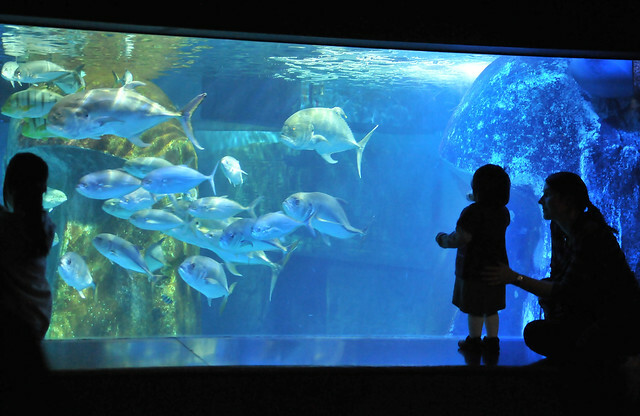 Tropical Fish London Aquarium Hop off the London Eye and pop into the Aquarium 10-yards away where you can explore the amazing underwater world of Sea Life. Sand Tiger sharks, Bow Mouths, Black Tips and Grey Reefs are just some of the highlights. Changing of the Guards The Changing of the Guards outside Buckingham Palace is a tradition that is held in high regard in Britain and fascinating for foreign visitors to witness. Check the official website for days and times as they differ from one month to the next. 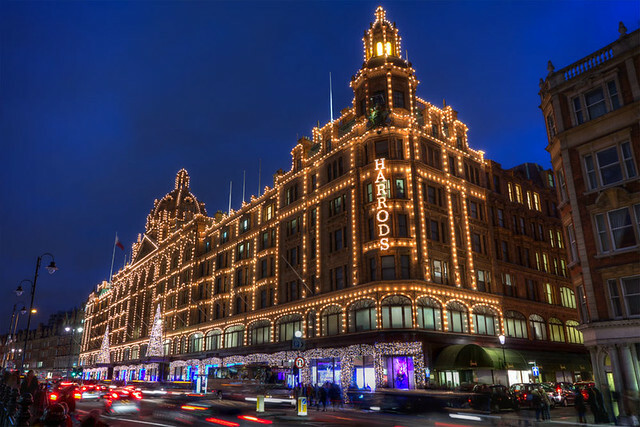 Shop at Harrods It may no longer be owned by the enigmatic Mohammad Al Fayed, but London´s most famous department store of luxury fashion and fragrance will always keep its name. When shopping around Knightsbridge you have to visit Harrods if only for a carrier bag. Better still, stop by the food court for a spot of lunch, it’s nothing short of spectacular. Explore the World in the British Museum With a fascination collection from all over the world including Egyptian relics, the Parthenon and the Rosetta Stone the British Museum is one of the best in the world – and it´s free to get in. Two Tate Galleries in a Day If you´re not sure which Tate gallery to do today, why not do both. 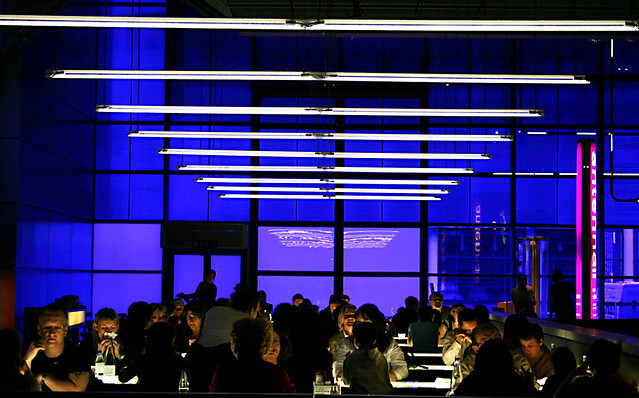 Tate Modern spans the last 100 or so years and is packed with outstanding works of famous cubists, futurists and surrealists. Once you´ve boggle your mind, hop on a boat and check out the more formal English manner from the 17th Century onwards. West End Theatre The West End in the heart of London is where you will find theatreland presenting some of the best-known shows to grace a stage. Most of the big shows required pre-ordered tickets, which can often be ordered online, or simply visit one of the ticket outlets which can be found near Oxford Circus or Shaftsbury Avenue. If you’re staying the night in London, you could always have the tickets sent to your hotel or address. Tower of London Hear the spooky tales of headless ghosts brilliantly told by the story-telling Yeoman Guards in their fancy red costumes. The haunted ruins will send a chill down your spine as you hear about the woes of beheaded victims and the prisoners that passed through “Traitors Gate.” Visit the official site here. 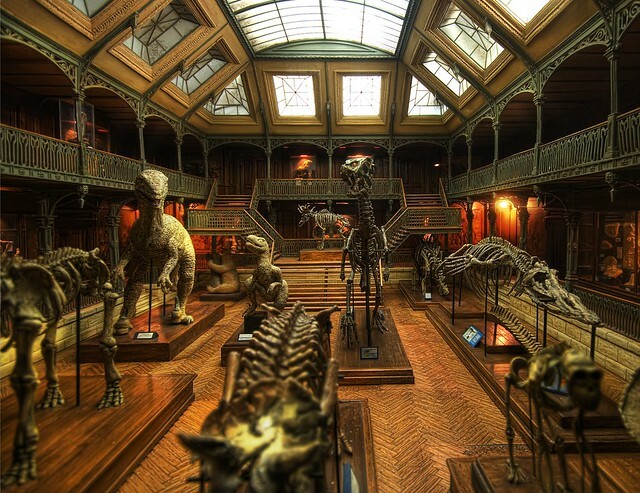 Spend a Night at Natural History Museum Just like the film Ben Stiller film “A Night at the Museum,” pack your children off to spend the night in the Natural History Museum with dinosaur carcasses playing torch-lit puzzle trails whilst you enjoy some peace and quiet. Cheap Tickets for the Royal Philharmonic Orchestra The Royal Festival Hall is one of London´s greatest auditorium´s and home to the Royal Philharmonic Orchestra. Tickets are very reasonably priced and you can sit immediately behind the orchestra for some of the cheapest! Science Museum The science museum is a fun and educational day out for all the family with life size models of aeroplanes, an F1 car, space craft and loads of other interactive games. Street Performers in Covent Garden It will cost you nothing other than perhaps a tip if you want to, but there are loads of street performers in Convent Garden every day. Whilst your there take advantage of some of the nearby coffee shops including Monmouth (on Monmouth Street) or stop for afternoon tea at Ladurée which is situated within the covered market of Covent Garden. Borough Market The bustling atmosphere and wealth of international foods you can enjoy at Borough market (near London Bridge) makes it well worth a trip. 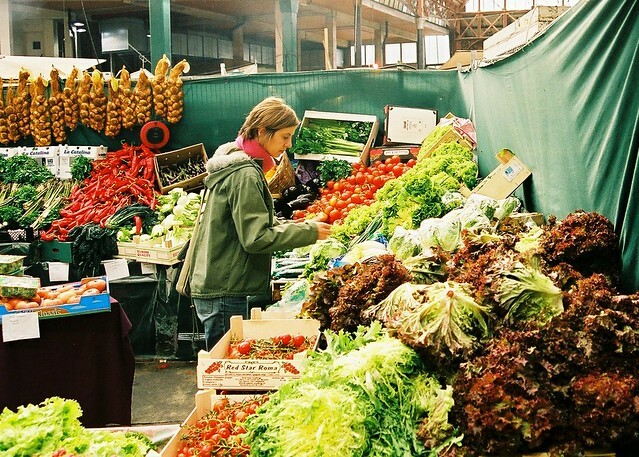 Stock up on fine foods and buy a souvenirs from some of London’s finest food producers. Greenwich Observatory The quaint Greenwich Village is worth a visit in its own right, but the highlight of this charming London suburb is undoubtedly the Royal Greenwich Observatory which promote videos about space and have a fascinating exhibition about space. Art Workshop at the National Gallery If your kids are interested in art take them to the 2-hour workshop in the National Art Gallery so they get some professional tips. Overnight Stay on the Golden Hinde The Golden Hinde along Queen´s Walk is a replica of the ship Sir Francis Drake circumnavigated the world in. Check out the guided tours and listen to pirate stories. 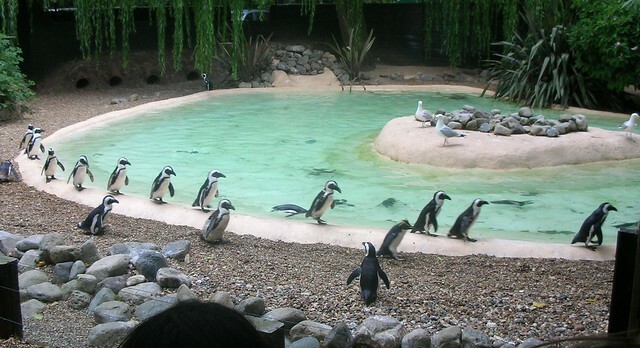 London Zoo London Zoo is the oldest scientific zoo in the world and home to hundreds of species including mischievous monkey, amusing Meerkats and cute penguins. It makes the perfect day out, followed by a walk through Regents Park or along the canal to Little Venice. Shakespeare´s Globe Lovers of theatre and literature will want to see a play in Shakespeare´s Globe and well they might as it is arguably the best theatre in London. You can cut-price tickets in the standing room only, but they places are limited so order your tickets in advance. Photo Credits: Emanuele Rosso, Mr Tea, Jurvetson, lo_ise, Tom Ward, Katch, Stuck in Customs, Mohammed Alnaser and Michael Caven If your best bit isn’t listed, please feel free to share it in the comments section below.